Today we're introducing you to the Columbian-born but Houston-raised rapper Dice SoHo. A relatively new figure to the rap game, and this project serves as his second release. 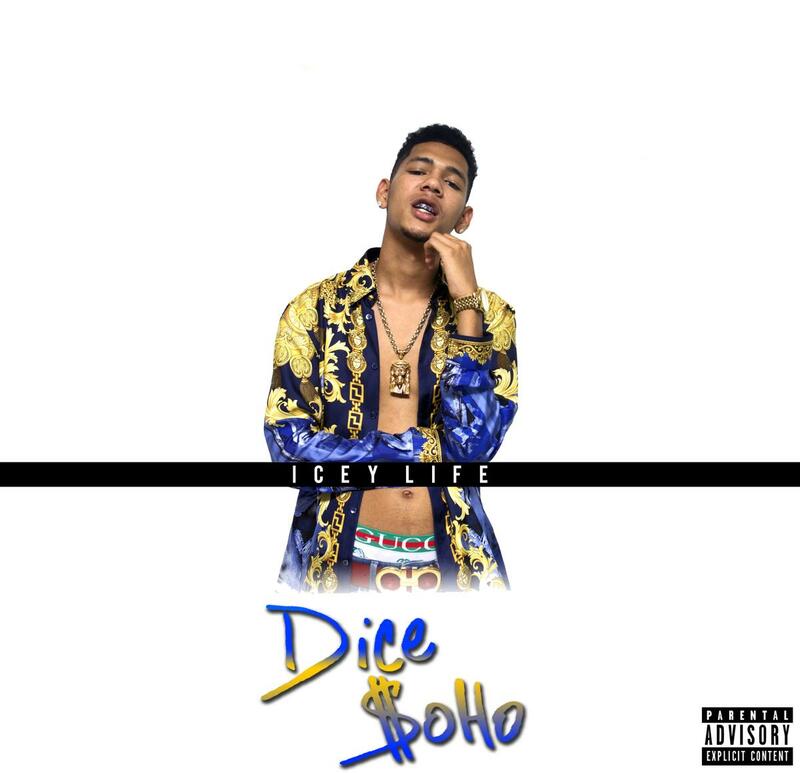 Icey Life finds Dice SoHo connecting with producers Tha BankBoy, Willie P, Mission Control and new like Yammo, FredOnThem, Tay Keith and J Rag. For features he calls upon Short Dawg, Ken Rebel, Sauce Walka, Maxo Kream and more. 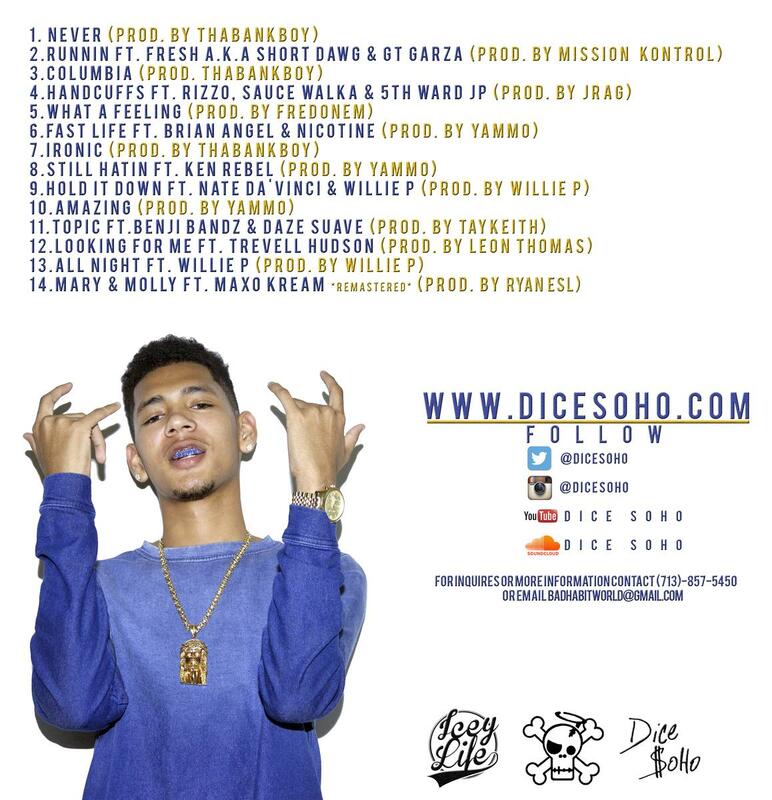 Dice SoHo was mentored in the rap game by his uncle, who happens to be local H-town rapper Smoov. Since then, he's opened up for rappers such as A$AP Ferg, Riff Raff, Travis $cott, Yelawolf, & Sir Michael Rocks, as he works to put his imprint on the rap game. Along with his mixtape we've included the music video for his track "Columbia," which was actually shot in his native land. 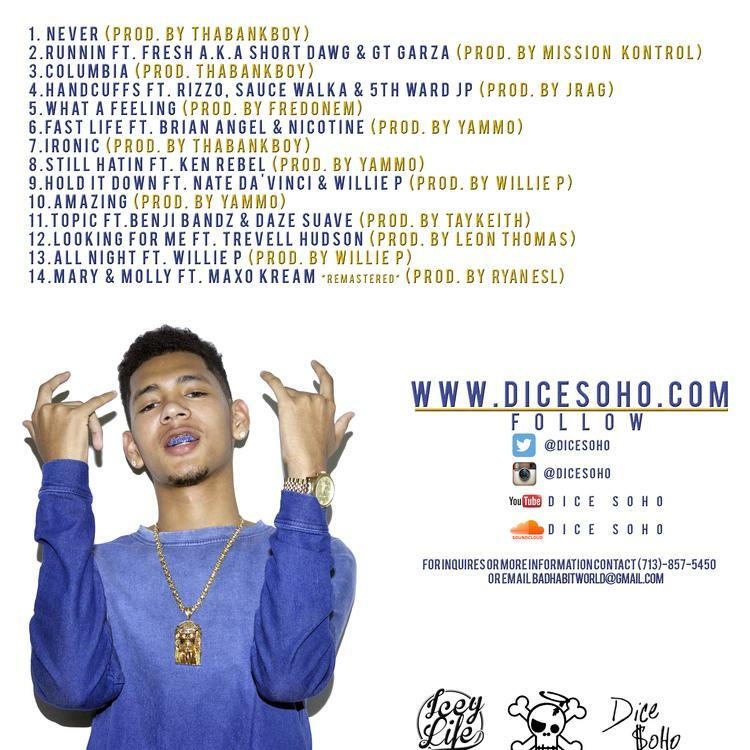 Give the project a listen or download, and let us know what you think of SoHo.